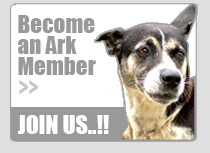 The Ark Animal Welfare Society, Barbados is a non-profit animal welfare charity – entirely reliant on donations and fundraising events. There are many ways you can help us in ‘fighting the cause’. Whichever way you decide to give, your kind donation will help us to continue to care for thousands of dogs in need. Read all about us. All donations are greatly appreciated – however big or small – we are very thankful for your generosity, message us on facebook! You select a dog from our website and sponsor their wellbeing until they are permanently re-homed. 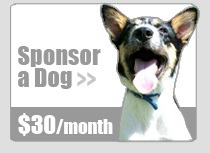 Become a sponsor for as little as $30 bds a month. Or a one-off donation is also gratefully received. Contributions will assist us towards their food, care and medication. We ensure that every Ark dog lives a happy and healthy life. Please contact us BEFORE sending a transfer as other information is required depending on which country the transfer is being made. Cheques should be made payable to The Ark Animal Welfare Society. Please do not send cash through the post. Making a Will is really important – it is the only way you can be certain that your property and possessions will pass to those who you want to benefit. Our running costs are $10,000 bds per month. The Ark receives no government funding, relying entirely on public donations. Please contact us for more information on how to leave a gift in your will. If you’re a business owner – we are forever grateful for any goods donated or services offered. A charitable discount is also always appreciated and your business will be listed on our website as a ‘thank you’ for your kind and generous help. Please contact us first before purchasing specific goods to donate to our wish-list.